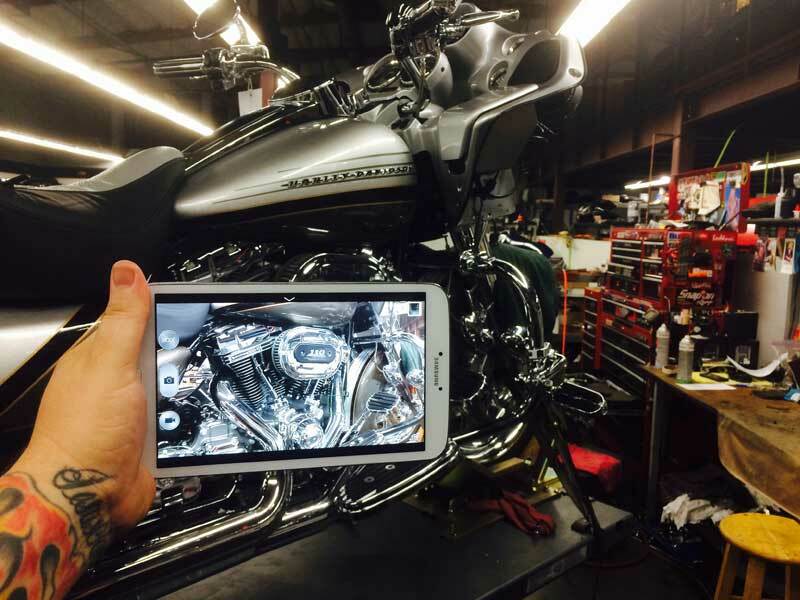 San Jose Harley-Davidson has unique opportunities and challenges. The dealership is located just south of Silicon Valley in Central California, and a large percentage of the customer base either works in the tech industry or is tech-savvy. The service department has found that repeated video updates limits calls to service and interruptions to the technicians. Instead of someone having to take a call from a customer wanting to find out when their bike is going to be ready, find which of the 11 techs has the bike, talk to the tech and get back to the customer, the customer knows at all times what is going on. 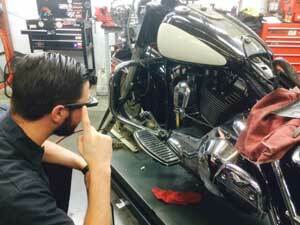 With the customer seeing what is being done to their bike, there is less confusion, less frustration and anger. It gives the customer confidence. In addition, if the customer is with other people when they receive the video on their iPhone, they will often show the video to their friends and business associates. This is the kind of advertising you cannot buy. Interestingly, these customers who work on the cutting edge of the computer industry, consistently buy air-cooled Harleys. “Just riding fills their needs,” Davis points out. The age of their customer base ranges from young people in their 20s to grizzled oldsters in their 70s, although the most common demographic is between 35 and 60. A lot of people in Silicon Valley are recent immigrants who rode little motorcycles in their countries. Once in the U.S., and receiving a hefty tech industry paycheck, they pay a visit to San Jose Harley-Davidson dealership. 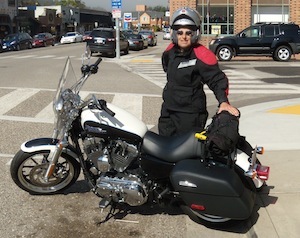 Often times these customer’s dream is to ride a Harley-Davidson. Women make up 10 percent of the ride-alone customers of San Jose Harley, but couples are 45 percent of the customer base. “A Harley is a team purchase in many cases. It’s a big family expense, and women make a lot of the purchase decisions,” notes Davis. This is helpful to the dealership in many ways. First, the woman often wants the seat, passenger pegs and backrest customized to fit her better. Women buy a lot of riding gear. Lastly, the motorcycle becomes the center of the couple’s social activities, ensuring that they will continue to ride – and continue to patronize San Jose Harley-Davidson. The dealership puts on Garage Nights, a Harley-Davidson marketing effort designed to help women who are new to motorcycling, feel comfortable with Harleys and excited to take a beginner riding course. 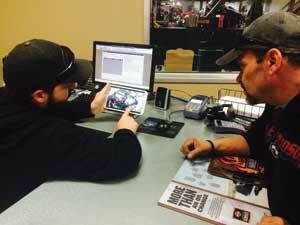 Service Night seminars explain basic mechanics and troubleshooting. The San Jose HOG chapter meets at the store every Thursday night. Monthly meetings at a restaurant regularly see 100 people attending. “One of the things about the Harley-Davidson company is how it stays on the pulse of people’s lifestyle. 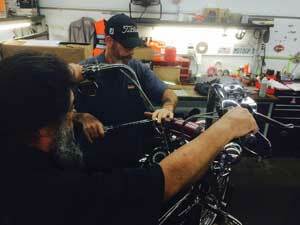 Harleys fill a need 100 different ways,” explains Davis. San Jose Harley-Davidson maintains a Facebook page and posts something on it at least once a week. Many times, the post is a photo of a cool bike or a new product, but often the dealership posts a question, such as “How old were you the first time you ever rode a motorcycle?” This and similar questions get a dialog rolling – giving the customers a reason to check back to the Facebook page on a regular basis.